Hey Kids! Meet the Awesome Professor™ and all the Awesome Kids™ As they search for the Emerald Key to great Adventures! Someone knows who has the key! Join The Professor and all the kids as they search for that someone and try to discover where the key is hidden! Who is Mortimer Benet™? Who is Freddie? 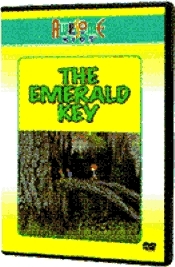 This first of a 2 part series called "The Emerald Key" is full of fun, adventure and education! Parents! Join your kids and share time with them as you both go on an Awesome Adventure in this animation packed with educational lessons amidst great fun! Laugh along with them as Harold™, the playground bully, is changed into a friend and cohort. Watch as Mervin the Mink™ learns that facing your fears beats lying. Harold™ learns that violence is no solution to a problem!